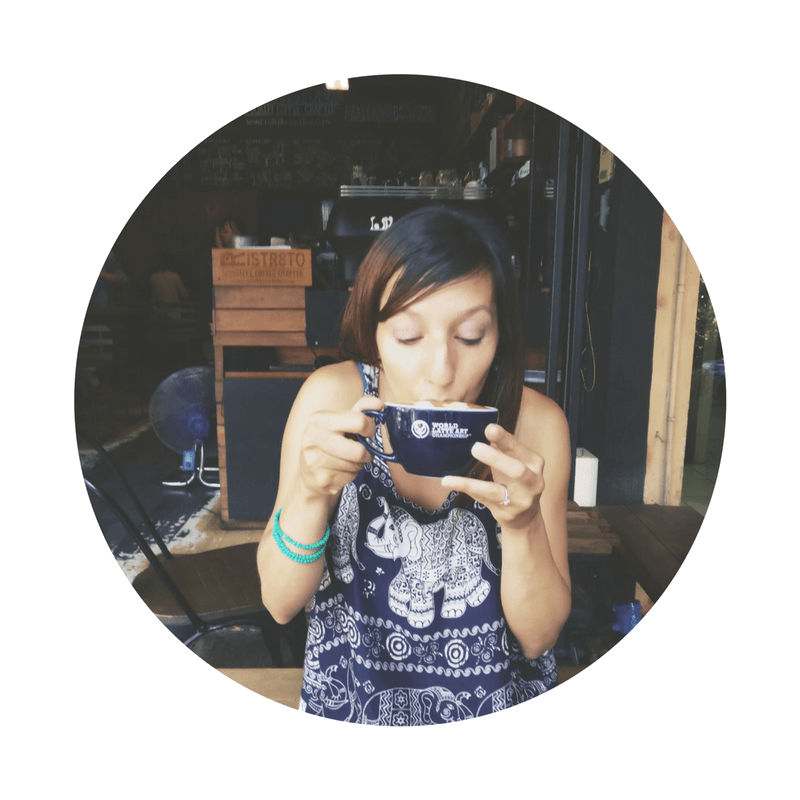 I’m well aware of the degree of inequality that exists in so many different countries outside of my own but it wasn’t until I got my first up close and personal glimpse that I actually began to understand it. Along our route from Greece to the gorgeous Adriatic city of Split, we drove through Albania’s capital, Tiranë, before stopping overnight in Durres. Having just travelled through the beauty and richness of Western Europe with its grandeur structures and large open spaces, I found myself taken aback by this new change of scenery. 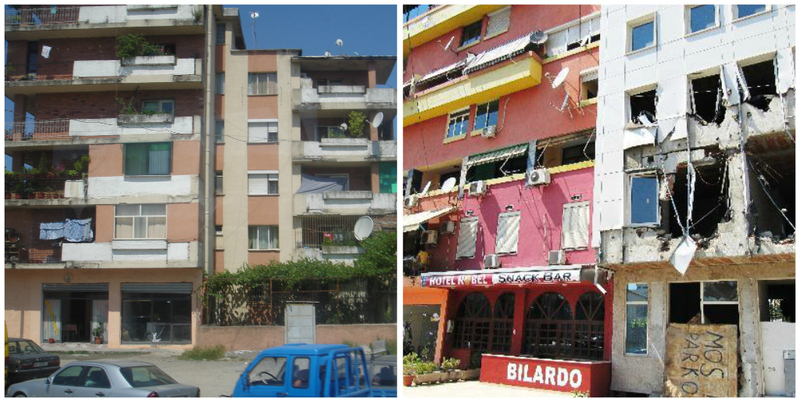 The direct contrast of Albania was surprising to me because this country is just on the heel of Italy. Abandoned buildings some with roofs and windows blown out, bricks crumbling, and not too far are remains of old war-bunkers. After two generations of communism and a brief armed conflict in the late 90s, reminders of the past are still here. 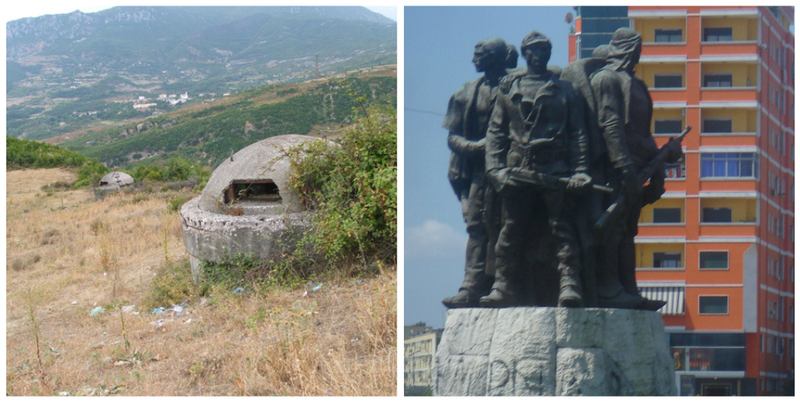 Even in post-war Albania, remnants of the past remain. Some buildings still remain unrestored. Private ownership of cars was once restricted only to government officials. 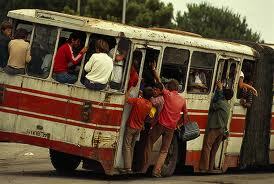 Today, Albanians move freely, although infrastructure is building slowly. Rocky, pot-holed roads are still self-paved and unstable. The lack of traffic lights and pedestrian crossings also make for busy, disorganized roads. 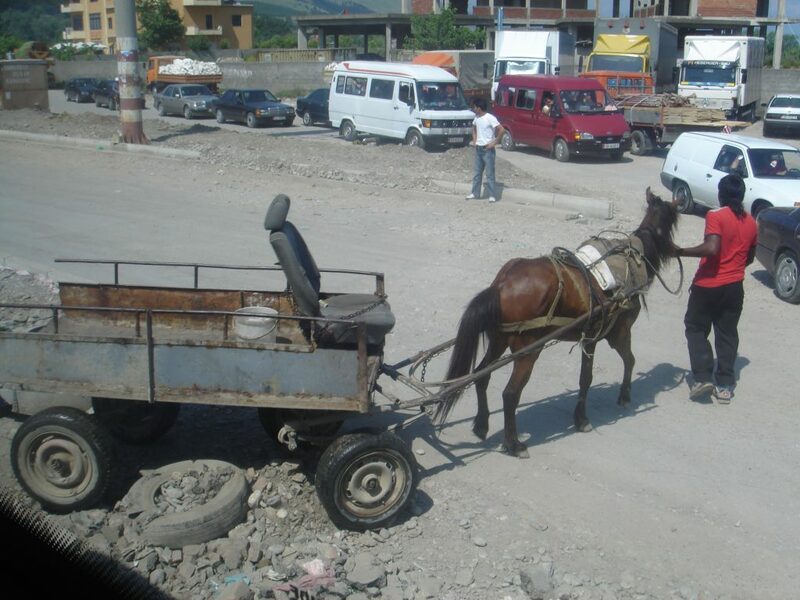 Albanians however are resourceful people, relying mostly on bikes, traveling by foot, or horse-drawn cart. A local Albanian and his horse-drawn cart. Personal space is something that most of us take for granted. My trip to Tiranë made me realize that my personal space is a luxury. Unfortunately, Albanians don’t share in the same luxury. Locals use their mini-vans as public transportation which are torn of their seats to make more room for standing passengers. People pack themselves in so tightly they seem to travel on top of one another in hot, dusty summertime weather. As we continued on our drive, more passengers are picked up from the side of the road and squeezed in. Further along, a young boy trying desperately to sell just one potato from his straw sack to a passerby. Other kids carrying heavy loads of firewood. Mothers and fathers build makeshift roadside businesses offering live, free-roaming animals that are (excuse the gruesome description) killed-to-order for buying customers. 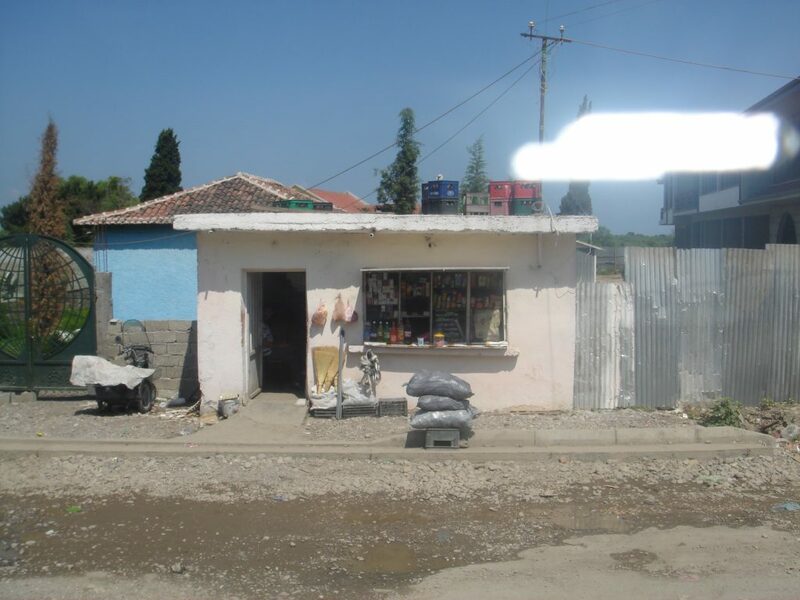 It’s not a pretty sight but these small businesses are some of the ways Albanians hope they can earn a living to put food on the table and improve their living. Post-conflict, Albania continues to been taking steps toward development and democracy and, while it struggles to find its new place within Europe, the beautiful coastline and beaches showcase Albania as one of Europe’s unfound escapes. 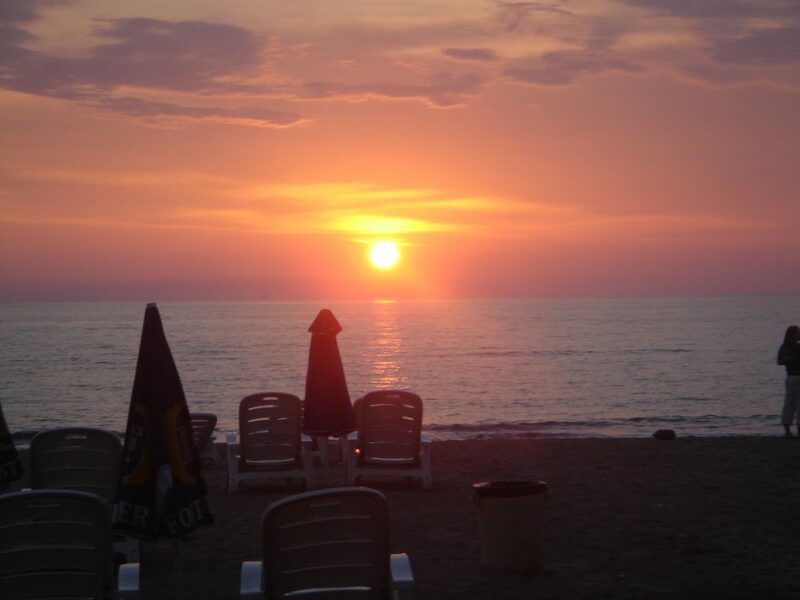 Albanian sun setting in Durres. Albania looks fascinating. I've long had this little country on my radar, thanks to a friend's Albanian partner. She has visited the country several times and likens it to Southern India. I really look forward to going! 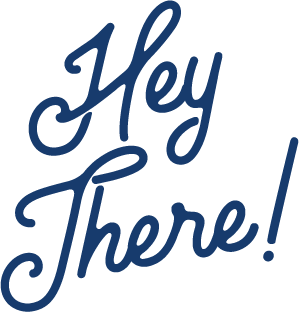 My recent post Welcome to Paradise…. ? Thanks for your comment Bethaney! If you have a chance to visit Tirana or Durres you won't regret it! Albania is such an experience! Love your photos. The horse drawn cart is quite amusing and the sunset is beautiful. Thanks for sharing! Thank you John. Albania was the first country that touched me on quite a different level. So much potential here yet so much struggle. There was a man in a little shop whom I had met and now wish I had taken a photo with him to remember him by. I purchased a few snacks and left him a few spare euros that I had. I can still remember his sincerity and look of gratification. Yes, the country is beautiful but the people more so!